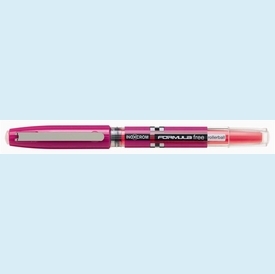 These great hot pink rollerball pens write like a dream with smooth ink release. Clear barrel let you see the ink level. Removeable cap but even with the cap off pens retain a long life. 0.6 point. Box of 12 pens; normally $2 each pen. ▪ House Stylo Ballpoints - 3 styles! ▪ Dazzle Pens - just $2.99! House Stylo Ballpoints - 3 styles! Dazzle Pens - just $2.99!